I was writing almost all… almost all the stories at what was now Marvel Comics — changed our name to Marvel — and I remember, I said to Joanie: ’You know, I can't keep up with the work. I'm the editor, the art director, I'm the writer. I'm working seven days a week. It's driving me crazy. I'm going to tell Martin — the publisher Martin Goodman — I'm going to tell Martin I've got to have a day off, like Wednesday, so I could stay home and write when the phone won't ring and there won't be people coming to see me’. She said, ‘But you're getting a salary. You can't… he won't pay you a whole week pay if… for only four days' work’. I said, ‘I've got to ask him anyway’. And anyway, he agreed. So for quite a while I didn't go to the office on Wednesday, but then I still couldn't keep up with the work there was too much of it. I said, ‘I'm going to ask him Joanie, if I can have Tuesday and Thursday off’. She said, ‘Stan, don't you dare do that I would be so embarrassed. How can you say, I want Tuesday and Thursday off?’; I said, ‘Honey, I've got to do it, you know’. He gave me Tuesday and Thursday off. To make a long story short, I ended up… I decided I was only going to go to the office two days a week and I had Monday, Wednesday and Friday off when I would stay home and write. And it was the only way I would turn out almost a hundred magazines a month. And I used to joke about it. I said: ‘I'm able to do it because I'm the editor and I love the stories I write so there isn't much editing to do’. So anyway, I was working that time… and very often the artist would draw the strips… and a lot of them lived in Long Island, they'd come to my house and we'd go over it, and it was wonderful. The creative genius of American writer, Stan Lee (1922-2018) brought us 'Spider Man', 'X-Men' and 'The Hulk'. They climbed tall buildings and fought the bad guys, but had normal worries too, about love, acceptance and family. Readers loved them and Marvel Comics, with Lee at the helm, went on to become hugely successful. 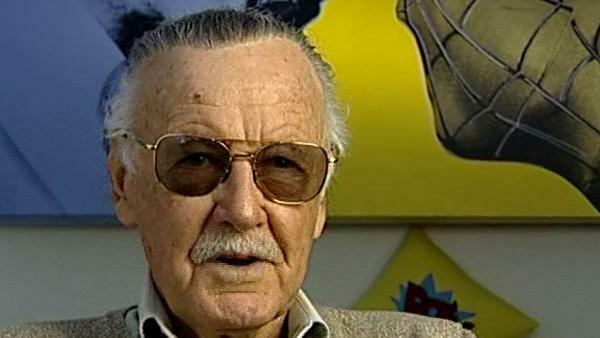 In 2010 the Stan Lee Foundation was founded to focus on literacy, education and the arts. On January 4, 2011 Lee received the 2428th star on the Hollywood Walk of Fame. Leo Bear is a Hollywood-based features writer. Her background is in news and features writing. Leo spent five years on the entertainment newsdesk at BBC Worldwide before going freelance and moving out to Los Angeles. She specialises in writing lifestyle features, celebrity interviews, health stories and travel features for publications including Eve Magazine, OK! Magazine, Total Film, TV Hits and Conde Nast Gourmet Travel Guide.